The N.C. Chronicles. 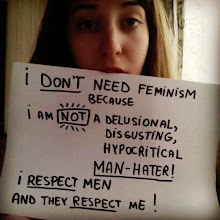 : Feminism; they claim to speak for all women? We wash our hands of all this. And may I say...that is the most disgusting thing I have ever seen from feminism, but not surprised.